After a good night’s sleep it was time for a hearty breakfast. 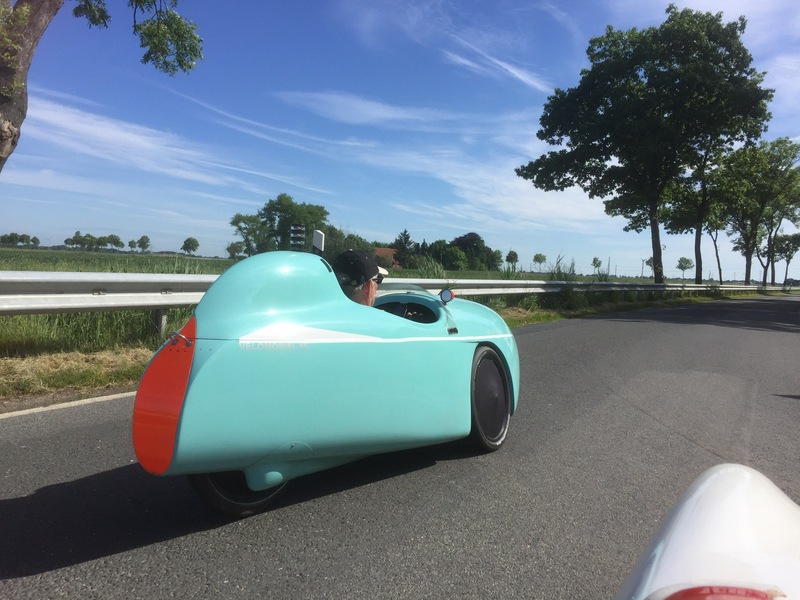 We were ready to set off by 08:30 having refilled our water bottles and extracted the Velomobiles from the bin store. 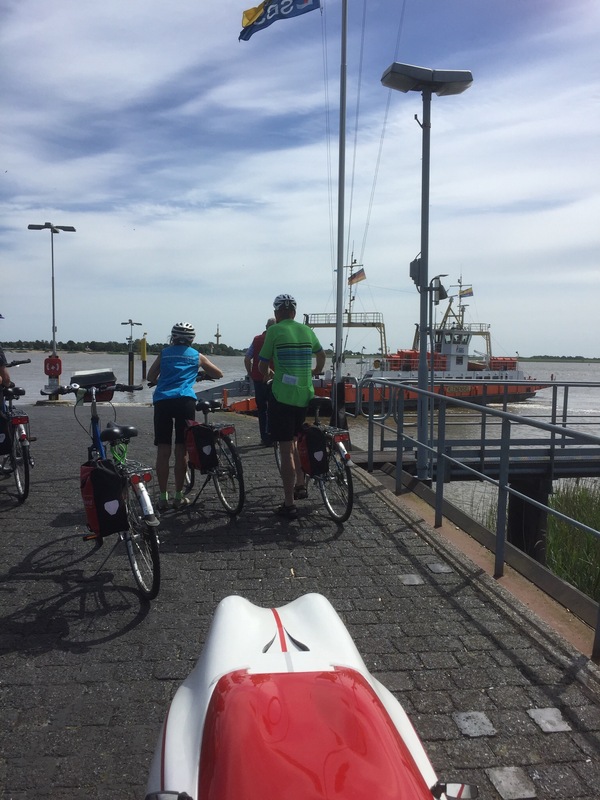 Today’s ride was to Glückstadt and involved two ferry crossings, the Weser and the Elbe. We set off with good weather and knowing it should be dry the whole day. I had a very large breakfast and I felt it as we started riding, I wasn’t able to push as much as the last few days. Klaus felt the same, in fact for the whole day we were both slightly under par; not unexpected after two long and fast days. 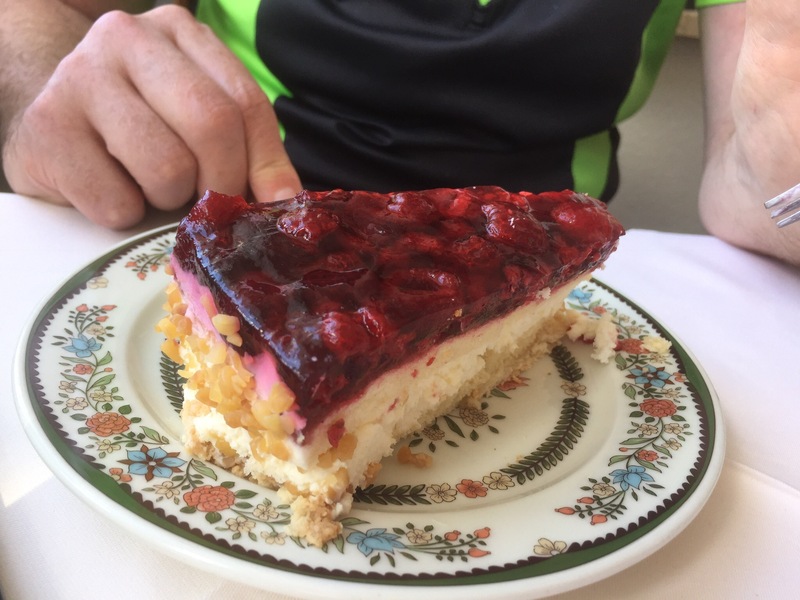 This was borne out by Klaus’s Garmin, which said to him after the first few kilometres: ‘Ihre Fitness ist nur ausreichend’!! We were treated to some beautiful scenery as we rode along. We were back in flat landscape which makes it harder to reach the higher speeds as you don’t get downhills to give you a push. We saw quite a lot of wildlife though; Klaus saw four storks, two rabbits, and I saw what I thought was a stoat or a ferret. Klaus thought it most likely a Marder, which is a marten in English. We trundled along, taking turns to lead the way and not pushing too hard as we both had less power today. 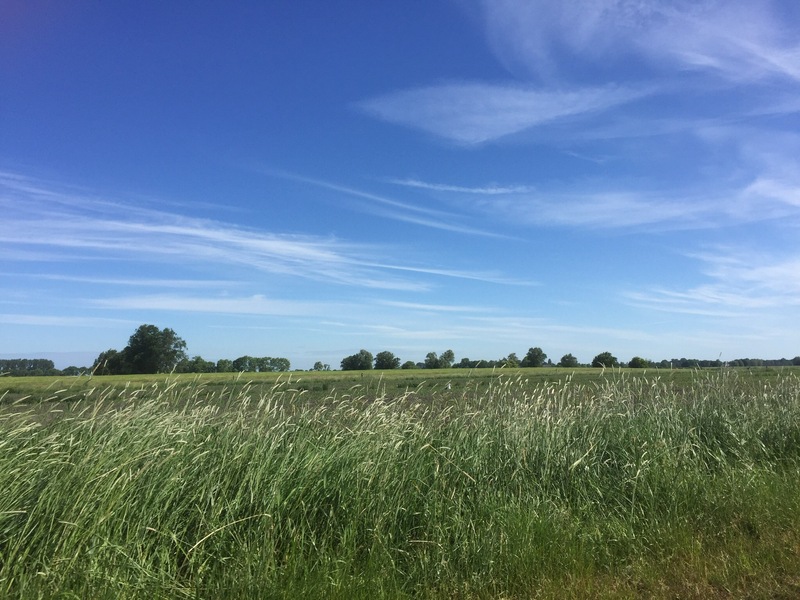 The scenery varied but there is more marshland in this region and I noticed a lot of place names with ‘Moor’ in German which is their word for fenland or bog. 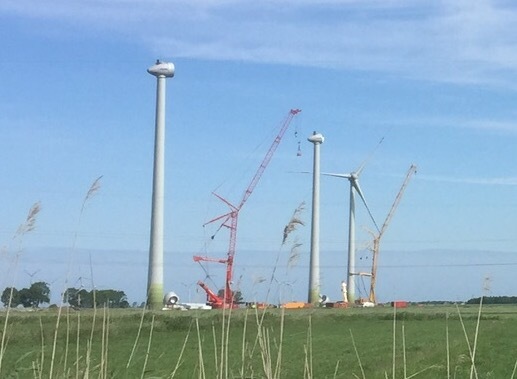 There were lots of houses and farms but not much else – well, apart from windmills. These two were under construction. 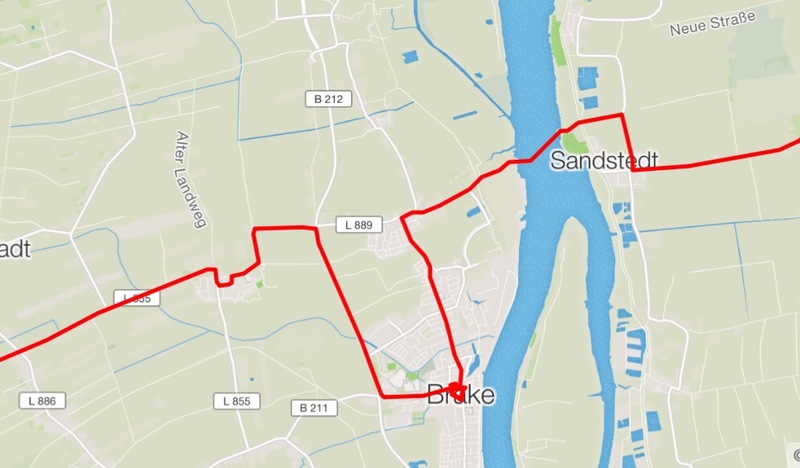 Klaus had ridden almost exactly this route last year on his solo tour and he remembered there were very few places to get food. Pre-warned he had looked up some places for food that fitted with our schedule. 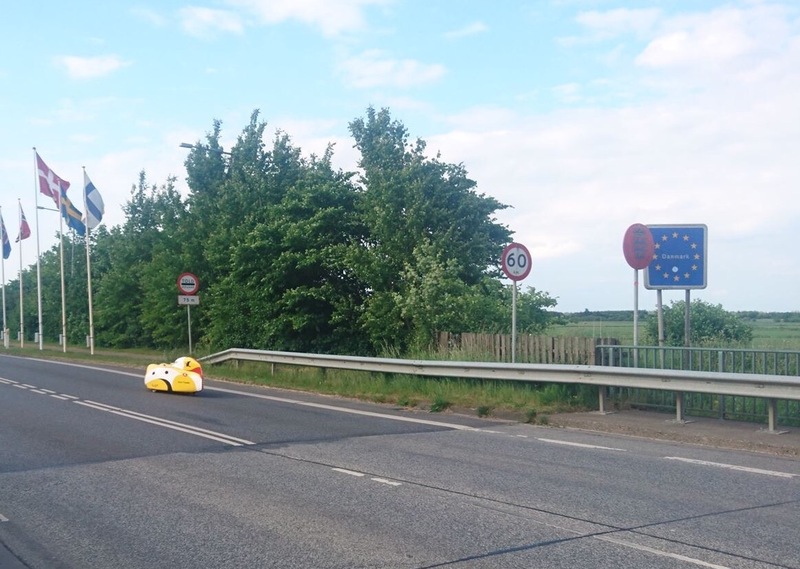 The first of these was to divert slightly from the route to visit the town of Brake. I missed the turning and then took another wrong turn but eventually we arrived together in the pedestrian area and found an Eiscafe where we stopped for some fuel. 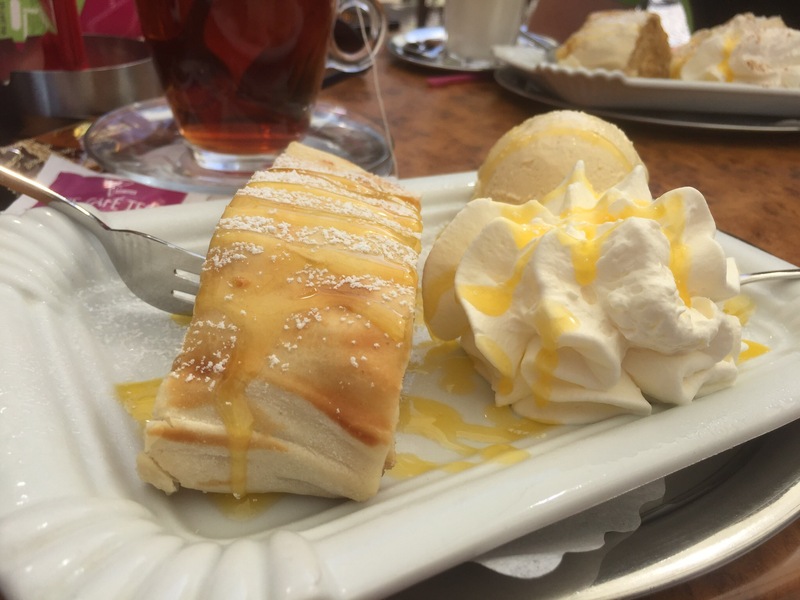 We both went for the Apfelstrudel, not realising that there was cheesecake also available which might have altered our choice! The people sitting outside the cafe were very talkative and were saying they had never seen bikes like hours before. On a relaxing bank holiday people can be very chatty. It was time to move on and we headed back to our original route – you can see the detour here. It seems that this detour added about 7 km to our total. This didn’t matter except it made an interesting difference to our training partner, whom we called Kevin. This is a feature on Klaus’s Garmin where you load the track with your estimated speed for the ride and it shows how far ahead or behind you are, with your training partner who is at the correct place. Yesterday we arrived at our destination an hour and a half, or 35 km, ahead of Kevin. On Saturday we were also nearly an hour ahead of him. 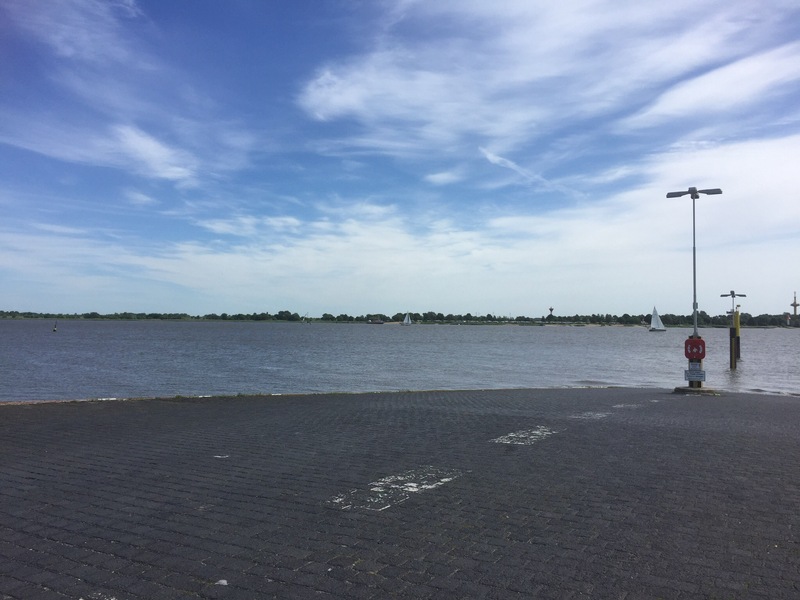 However, as we reached the ferry crossing of the Wesel Kevin was 4 km ahead, having crossed the river at 23 km/h as that is his speed that whole route. We had also added the detour to our route and he was riding the original shorter route. But we were confident we would overtake him before too long. Conveniently he also stops for cake when we do. This ferry crossing was very short and we only had to wait five minutes for the ferry to arrive. 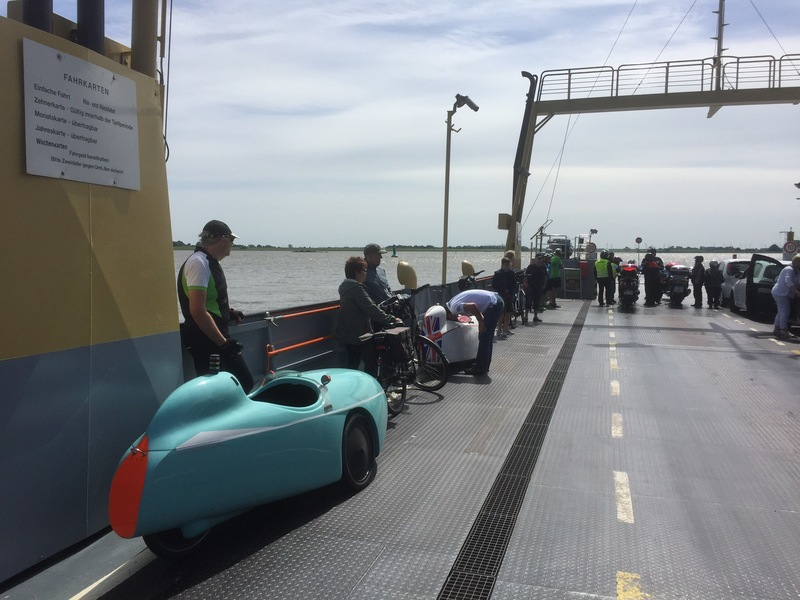 Waiting for the ferry – more bikes than cars. Once on the ferry we had several people asking us about our bikes as usual, and this chap in the photo appears to be about to disappear inside Millie. 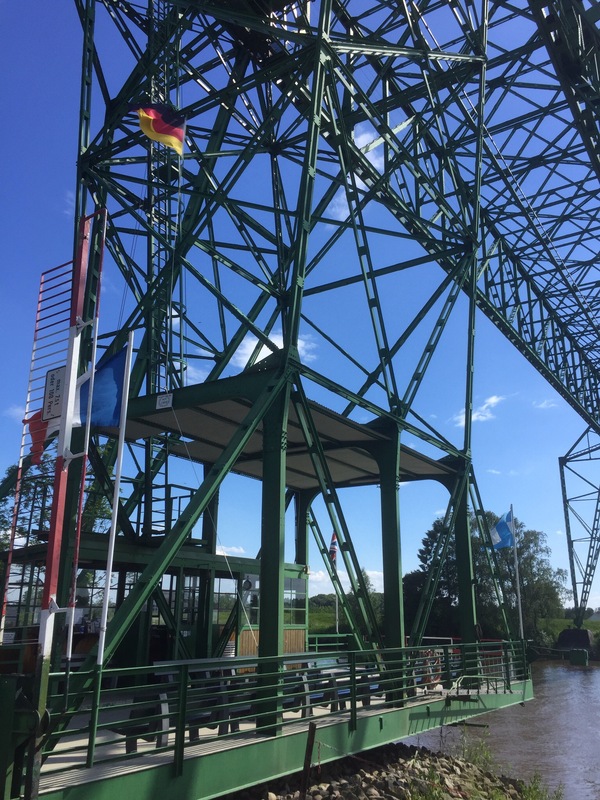 From this first ferry we could see the nuclear power station at Unterweser; later in the day we saw a second nuclear power station at Brunsbüttel, both of which are now out of service. Klaus mentioned as we left the ferry that he could remember almost nothing of this section between the two big rivers from his tour last year. 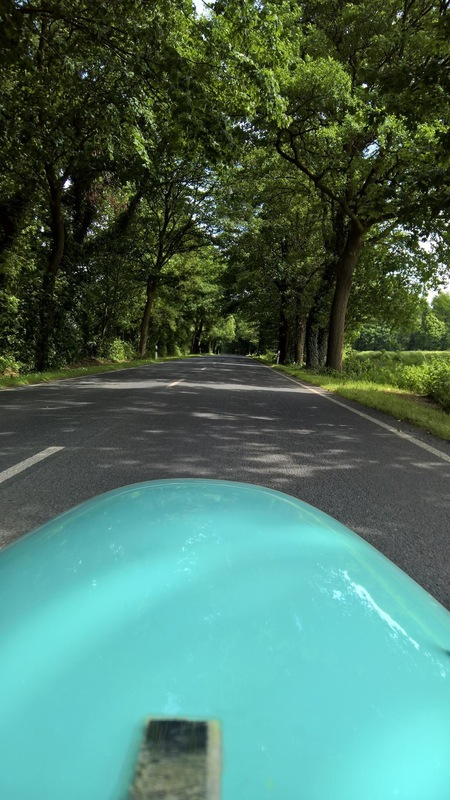 It turned out to be a very nice landscape of lots of trees, slight hills, big skies and very quiet roads. We had one experience of a close pass by a car but generally the light traffic was very well behaved. There were plenty of caravans and motor homes as this is the Whitsun weekend. The landscape now became a bit more hilly which gave us the chance to reach some higher speeds, but there were also sections where the road surface was very rough and it slowed us right down. At one point I got on the radio to Klaus to say I thought I had a rear wheel puncture as I was going so slowly. He replied that he was working really hard too, it was just the road surface killing our speed. 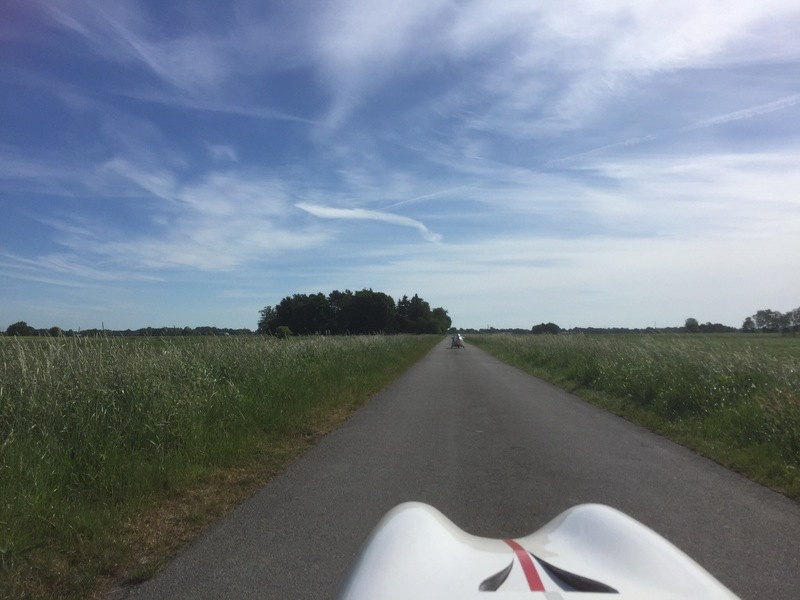 In fact we both found it was very difficult to estimate our speed, we had kind of lost the feel for it. Sometimes we thought we were going really slowly and were actually moving well, other times we suddenly realised we were going slow for no apparent reason. I think this was all down to road surfaces. There were lots of place names with the word ‘stedt’ in them, which is a version of Stadt, but doesn’t appear in the Niederrhein area, for example. The names all felt very different, and were generally not familiar to me; we really were in a different part of Germany now. We had decided to stop for lunch at maybe 90 km but a little before that we passed a cafe and decided to press on as it was too early, at least I thought so. This was, however, a bit of a miscalculation as we passed no other food establishments over the next 15 km. 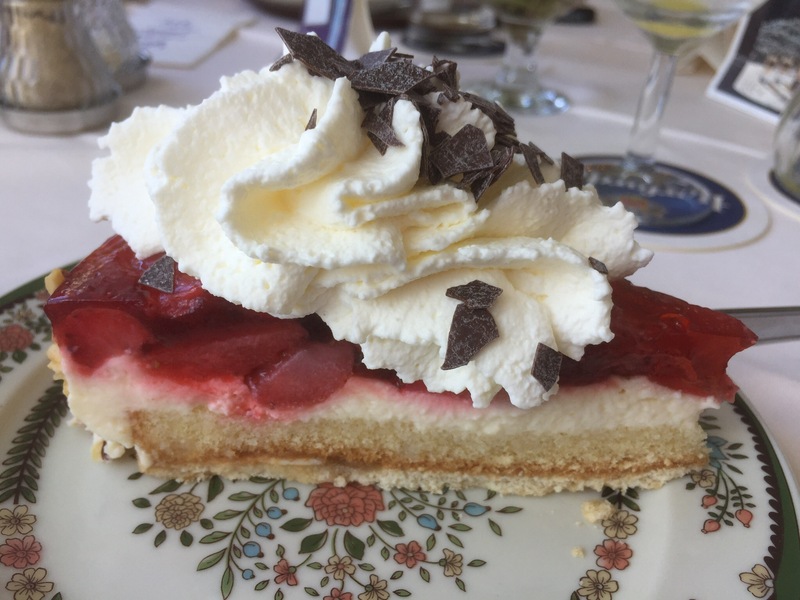 Fortunately as we approached Osten Klaus was able to sniff out a restaurant and they provided us with soup and then cake. 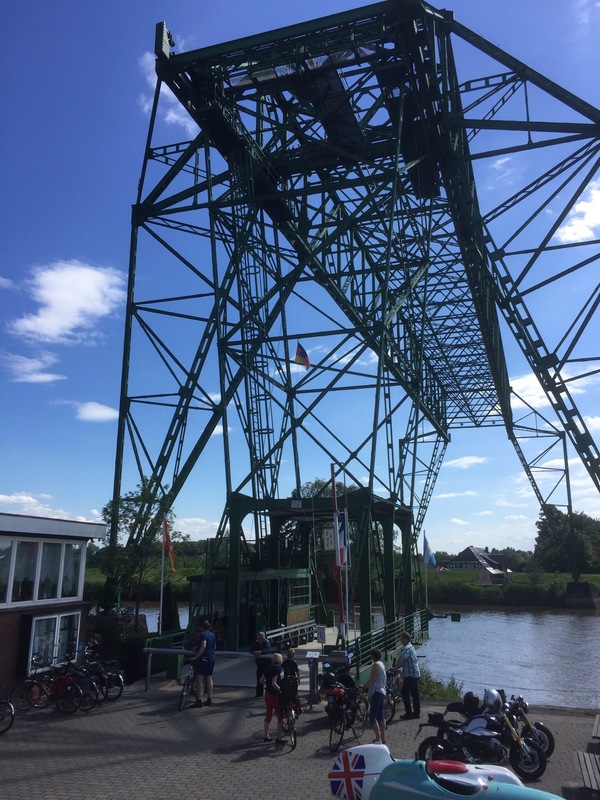 The restaurant was the old ferry house building but the ferry wasn’t a boat but a transporter bridge. 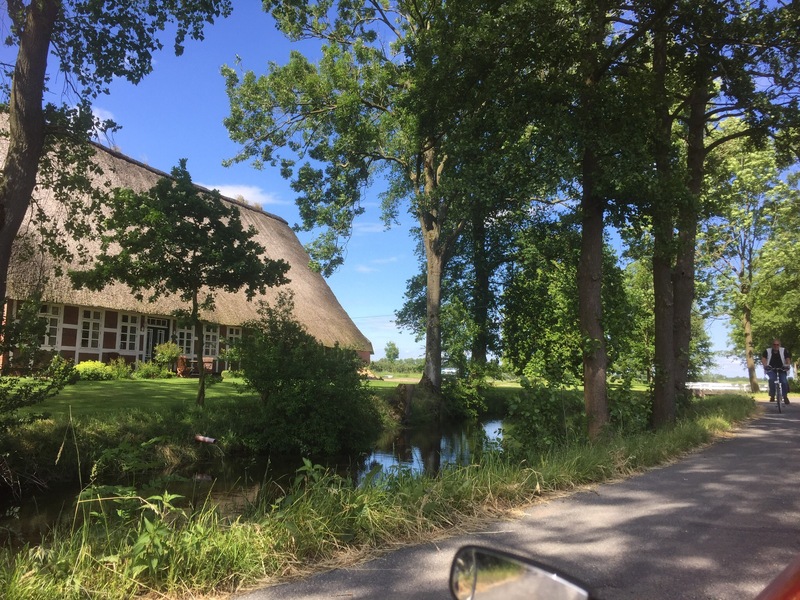 It was just 30 km to go from this point and we found ourselves on a very quiet lane next to the Deich, then it turned a bit more inland and we passed this gorgeous thatched farmhouse. 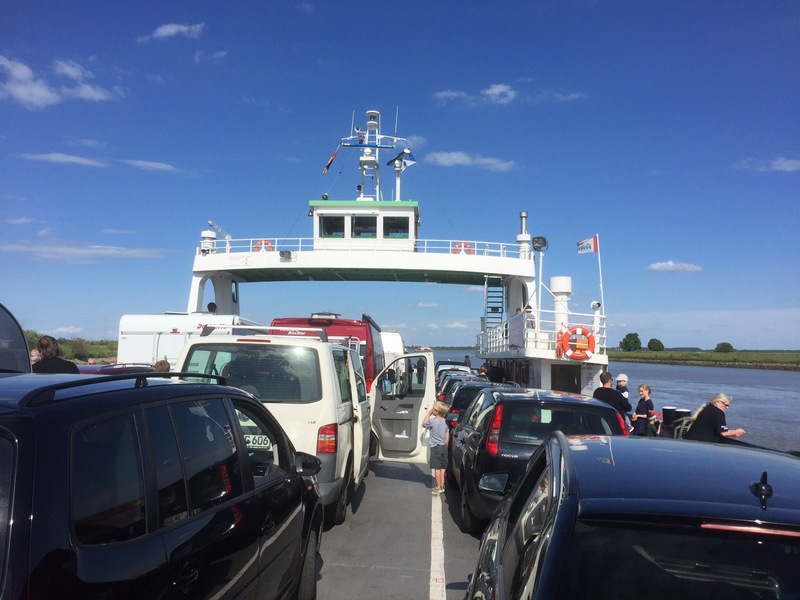 We were heading for the ferry over the Elbe and had brilliant luck that we were able to ride along the cycle path past the long queue of cars and were the last onto the ferry. Spot Klaus’s lack of suntan where he wears his cycling gloves! It is a surprisingly long way across the river, I think about 4 km travelled, and there were even some waves at some point so it felt like we were at sea. 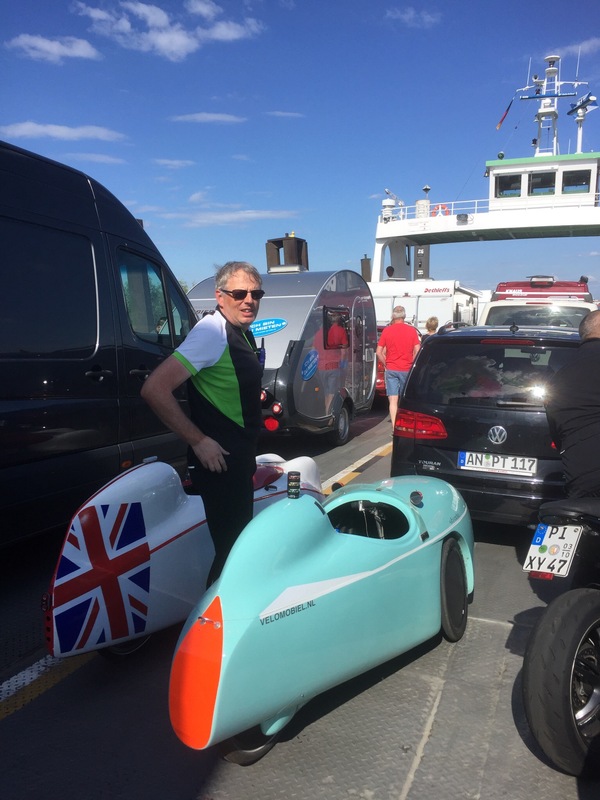 Being on this ferry today was rather special because we had been watching a tracker of someone doing an attempt on a world record cycle ride from the German border with Austria up to the border with Denmark non-stop. 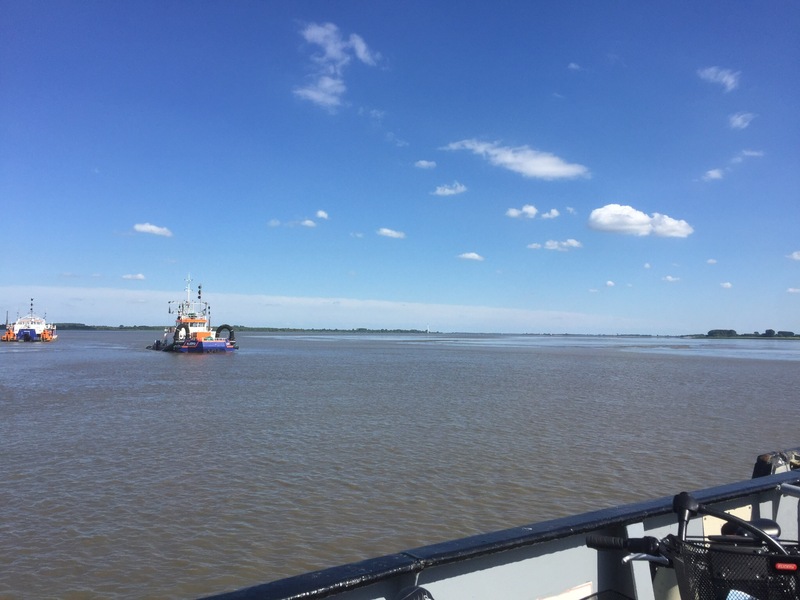 Roland started yesterday and crossed the Elbe at 13:00 today on the ferry, we were just four hours behind him. And he was also riding a Milan, although somewhat faster than me. He went on to complete the ride in a new world record time. Es ist geschafft! Roland und sein Team sind angekommen! 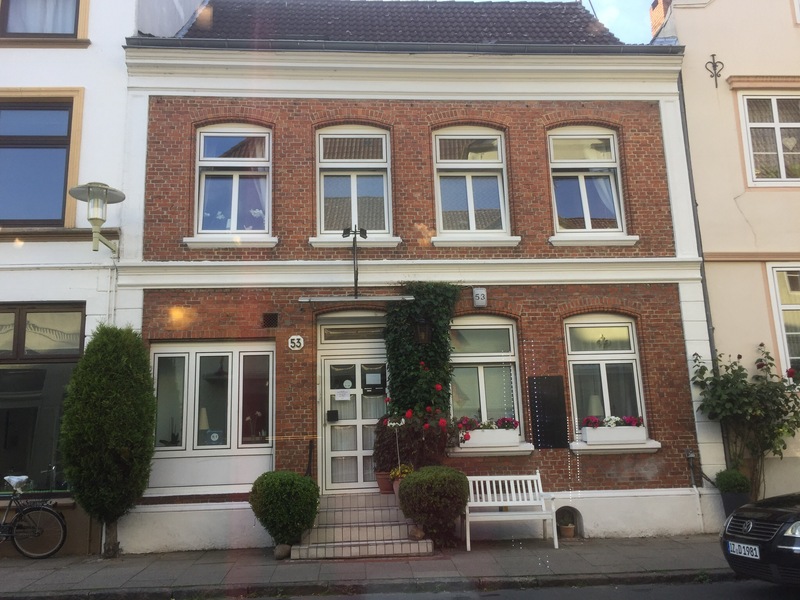 Den letzte Versuch am 3.10.2016 hatte Roland abgebrochen, aber diesmal hat es geklappt. Gestern, Sonntag, den 4.6.2017 um ca. 9 Uhr hat er (wieder am Birgsauer Hof bei Oberstdorf) gestartet, und ist dann nur mit Pausen zum Nahrungsmittel auffüllen und Reifen flicken einem Rutsch bis an die Dänische Grenze gefahren. 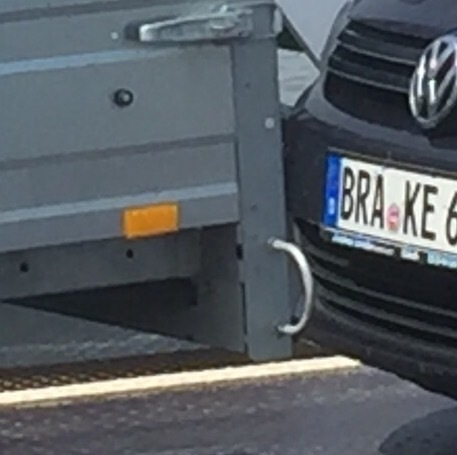 Ankunft heute, 5.6., kurz nach 18 Uhr. 1070 km in ~33 Stunden. As the last on we were also almost last off the ferry and headed to our hotel which was just 3.5 km away. 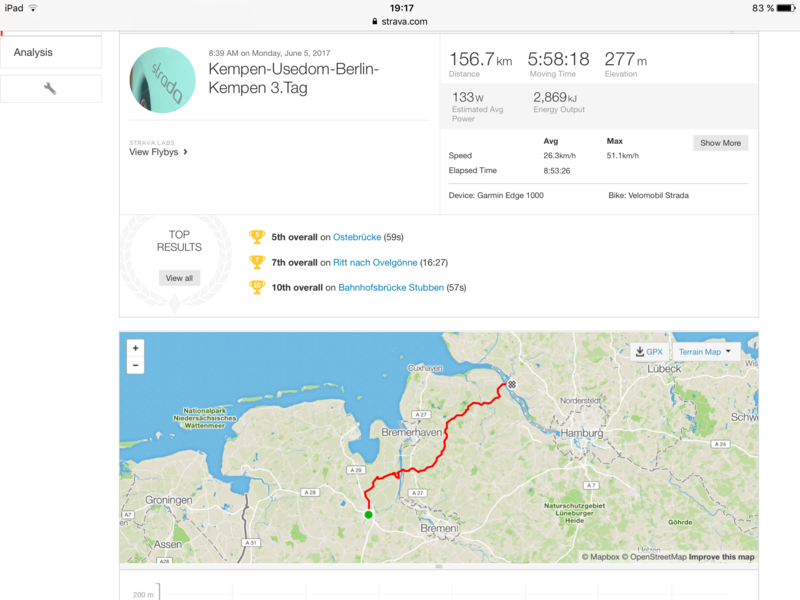 We were ahead of Kevin by more than half an hour so felt good about that, although our average speed had dropped a lot as Klaus left his Garmin running during the ferry trip which was of course much slower than our cycling speed. As we went onto the ferry it was at 28.2 average so I award us that for the day. We arrived at our hotel which was a very quaint looking building. However, here our problems began. We parked the bikes outside and I checked at the door which had a phone number to ring as the owner did not live there. Klaus had to do a short ride as he was having gear problems, but when he returned he learned there was no safe storage space for our bikes. In the end the landlady recommended we stored them behind the local kebab shop although it was not ideal but this yard area would at least be locked overnight. We had already paid for this hotel room, otherwise I think we would have decamped elsewhere. This guesthouse has received very high reviews and I think these are partly for the style and design but it is all rather too twee and Deko for me. 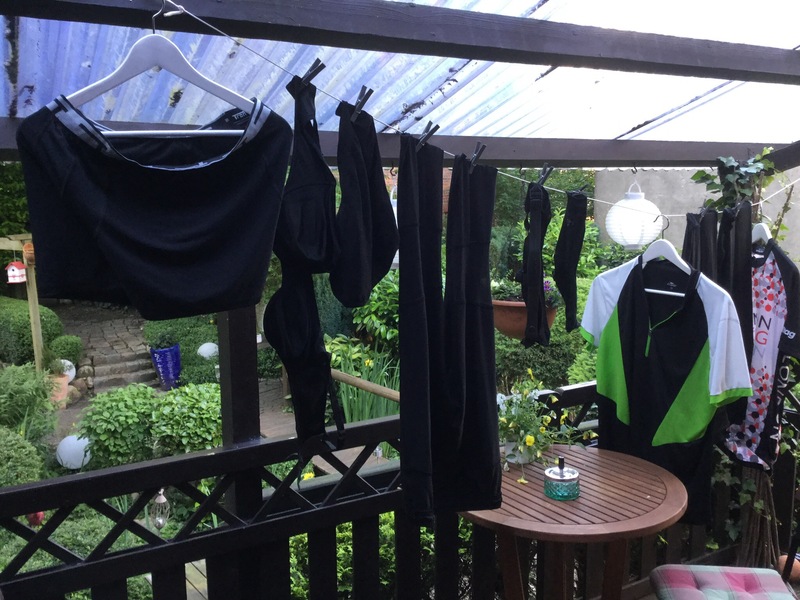 We did rather randomly have a balcony with our room so used it for the cycle tourists’ vital necessity, somewhere to string our washing line. 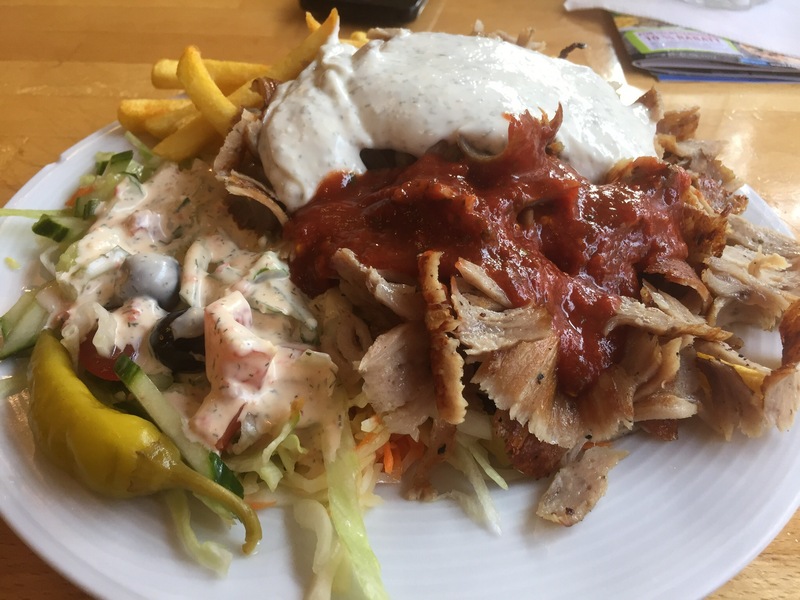 We had our dinner at the kebab shop over the road as it was handy and it was quite late by the time we had sorted out the bikes. 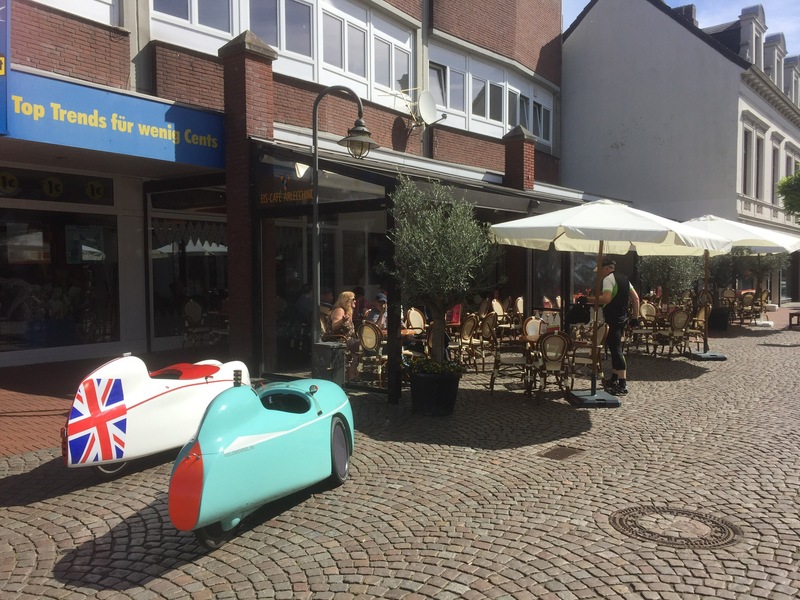 The slight concern over bike storage put a bit of a dampener on things, especially as I had informed the guest house when booking that we were coming with two Velomobiles. Tomorrow is a normal work day so the supermarkets should be open. 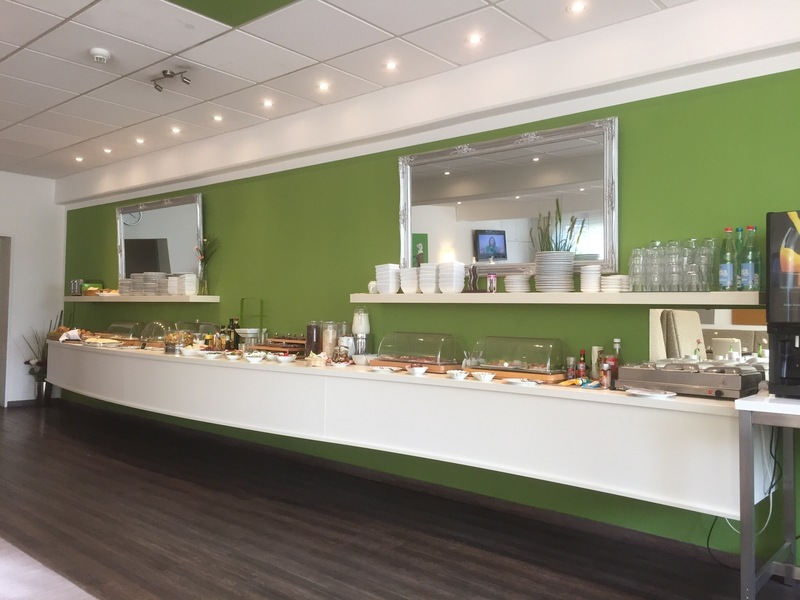 We will probably by ourselves emergency food supplies as we are not sure what we will find along the route, although we have located a couple of bakeries and cafes that hopefully will be suitable. 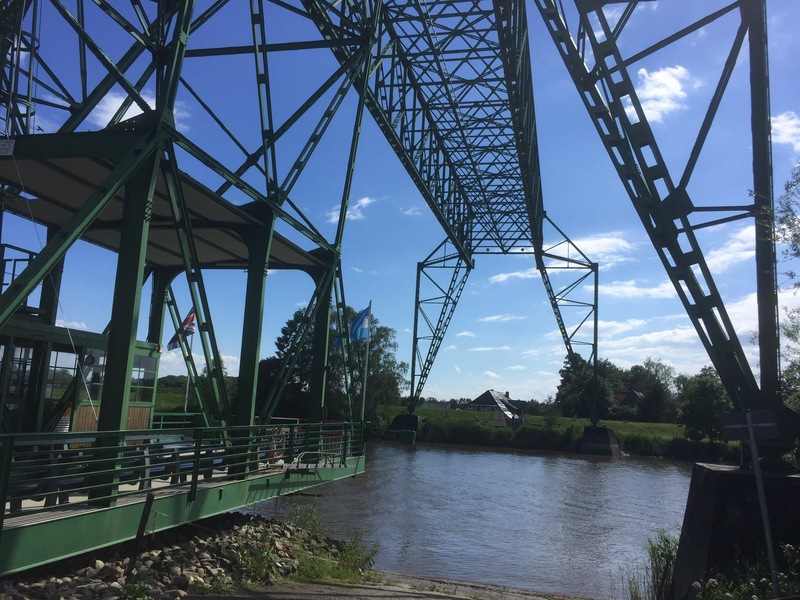 Tomorrow we are riding through Lübeck and then on to Grevesmühlen, getting ever closer to the Baltic Sea. Tomorrow will be hillier and we also have to keep up the pace so we arrive before the thunderstorms forecasted for 17:00. Millie was not riding as smoothly today with more chain noise so we hope to have a chance to do a bit of bike maintenance before leaving tomorrow morning. 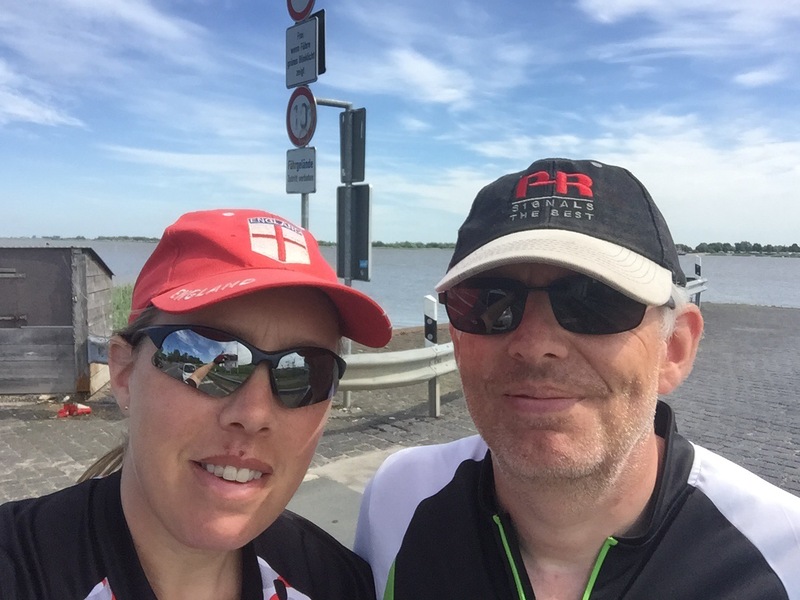 Day 3, almost 450km ridden – it’s going well! !